Go for a stroll with a happy baby. Every baby is tickled pink by the red, squeaky clown’s nose. 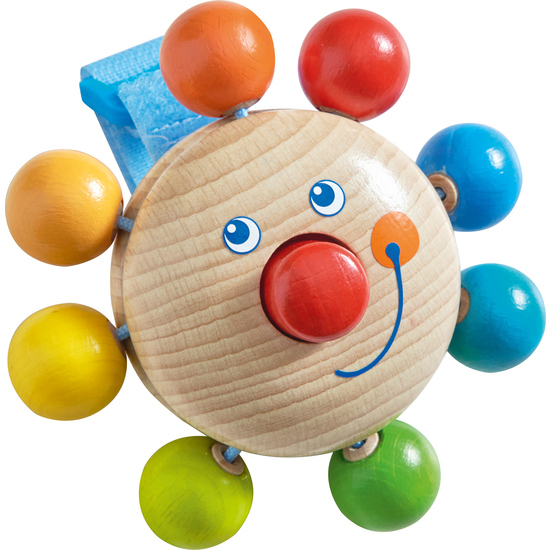 Of course, it’s also always fun to send the colorful wooden balls spinning.